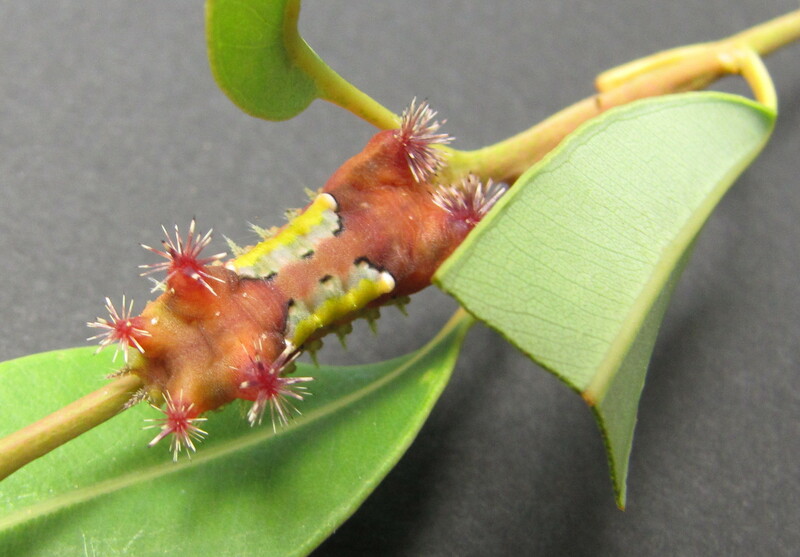 Another amazing critter in our bushland: Mottled Cup Moth caterpillar Doratifera vulnerans. I have seen capsules on trees and wondered what they are. They look just like a gum nuts in the wrong place on the tree. 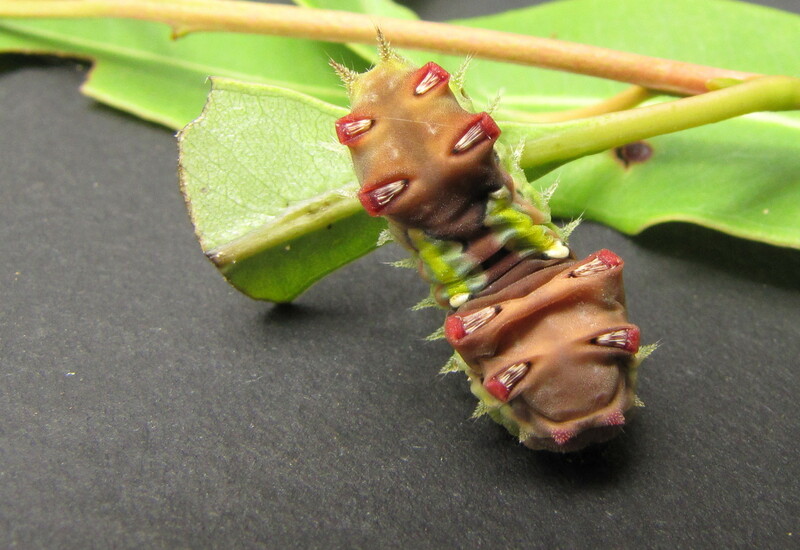 Yesterday I was asked to identify two caterpillars from a local bushcare site. My bushcare colleague had a painful encounter with the stinging spines on these otherwise pretty caterpillars so I put on disposable gloves before I opened the container to photograph these strange creatures. Butterfly expert Helen Schwenchke put me on the right track when she suggested looking up Cup Moths on the Australian caterpillar identification site. 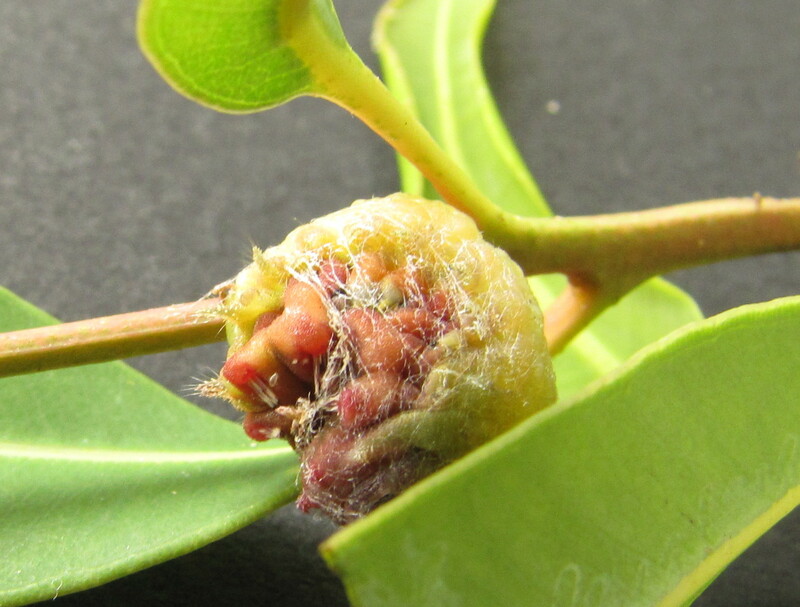 These intriguing pink yellow spiky critters are caterpillars of the Mottled Cup Moth Doratifera vulnerans. Back to the caterpillars for a real surprise. One had carefully stripped a piece of the eucalypt branch and started spinning silky threads: it was building it chrysalis while I watched! This process took about 70 minutes with the caterpillar curled tight and completely covered in silk thread. 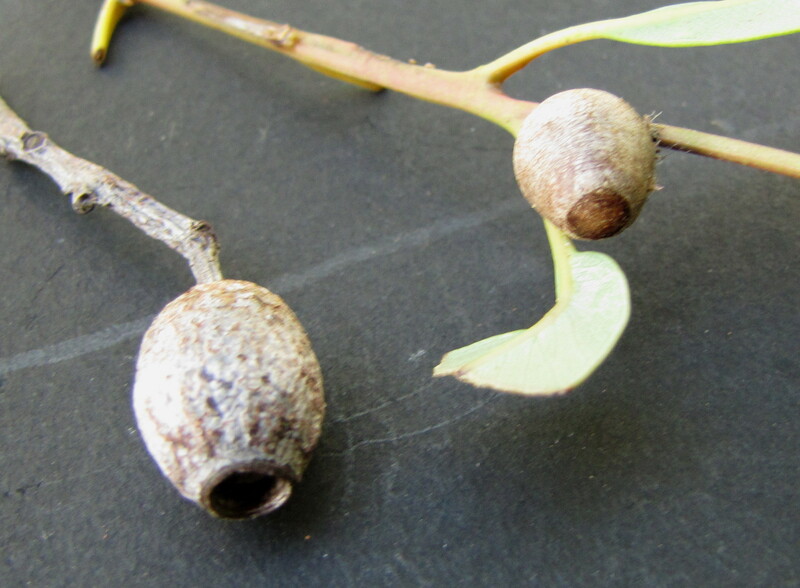 By morning the chrysalis had hardened, shrunk to less than half the size and created this capsule that looks just like the gum nuts of the eucalypt trees the caterpillars feed on. See the picture at the top: the chrysalis is the one on the right. Do you want to help clean up the home of these unique creatures? 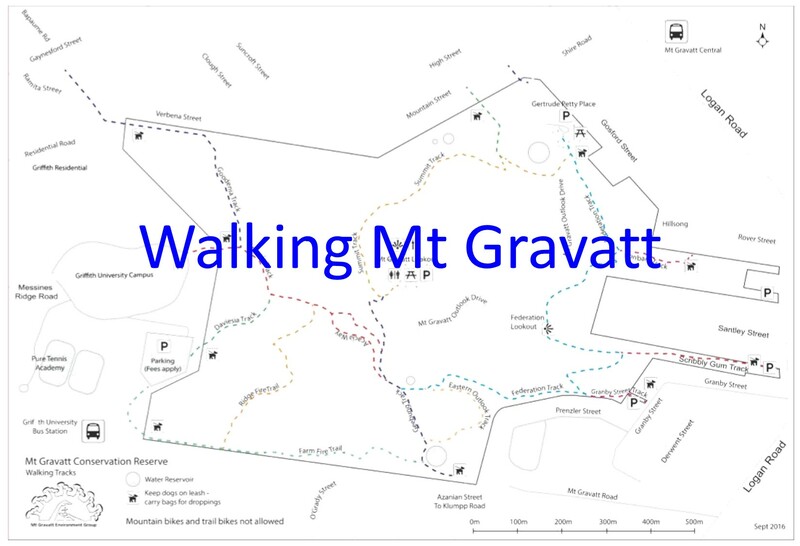 Register for Summit Cleanup on Sunday 6th March.